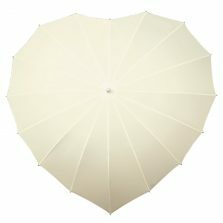 Budget Ivory Wedding Umbrella - Umbrella Heaven, 1000+ umbrellas! 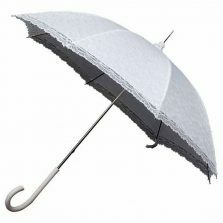 Are you looking for a large ivory wedding umbrella at an affordable price? 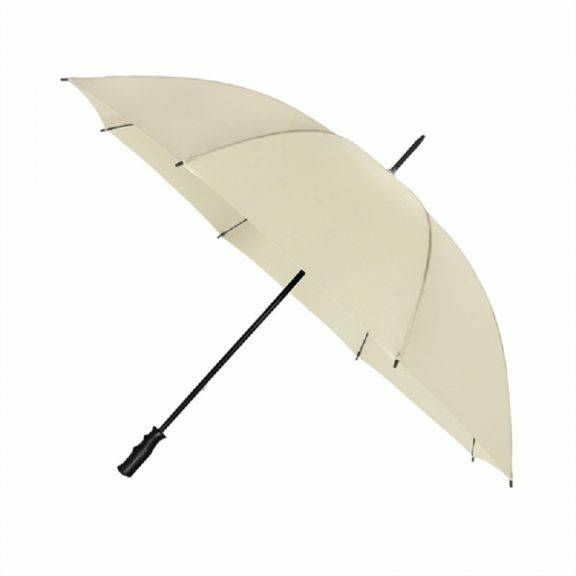 The Budget Ivory Wedding Umbrella might well be your ideal wedding umbrella! 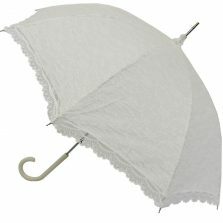 This Ivory Wedding umbrella is an inexpensive purchase for those who don’t want to break the bank! 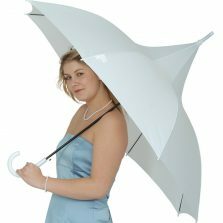 This brolly puts your mind at ease when it comes to the unpredictability of the weather on that special day. This simple design has a straight wooden handle attached to a robust 1.4 cm (0.55 inches) diameter metal shaft. Further featuring a no-fuss manual open and close, thumb operated catch. The canopy of this ivory wedding umbrella gives a generous span of 130 cm (51 inches) and a rib length of 75 cm (30 inches) – all measurements are approx. 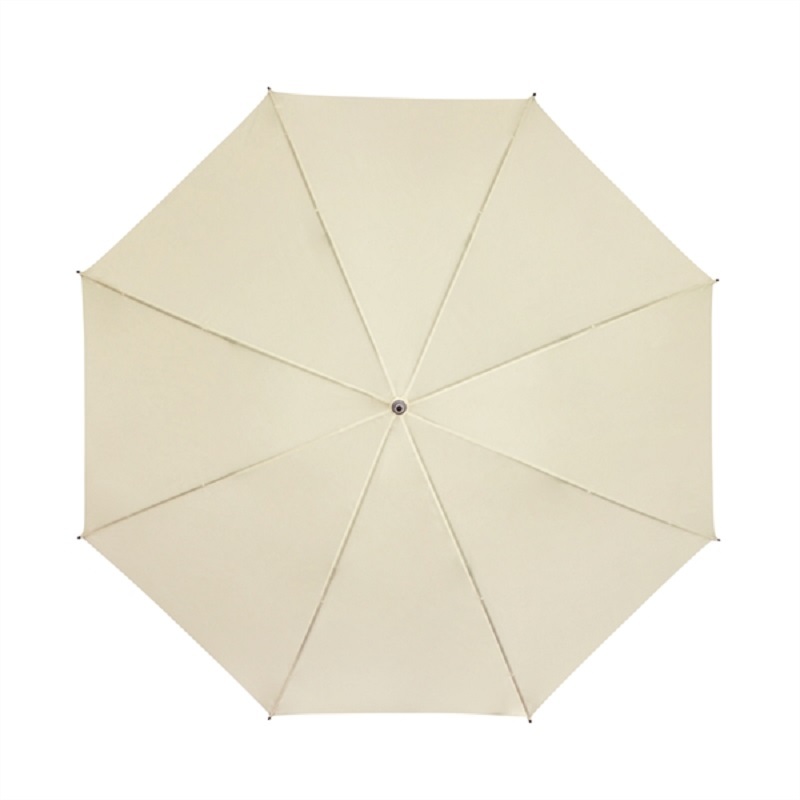 If you’re looking for a cheap and cheerful large ivory umbrella for a wedding or any outdoor event, this simple, plain ivory canopy umbrella will look after you. 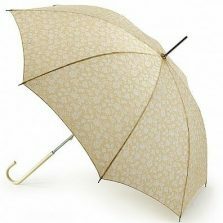 Please note though, that although fairly robust, this umbrella does have it’s limitations in the wind and is not guaranteed or classified as windproof.